Informal and fun, but at the same time surprisingly clear and rich in content and images, Mechanisms Knife is a book aimed at all those, from the collector to knife maker, who wish to understand more about the mechanics of knives. The goal of the author was to convey quality information available to everyone but with a humorous approach whilst at the same time simple and conversational. LeRoi Price has succeeded perfectly in his intent, weaving together the analysis of the various knives mechanisms with stories and funny anecdotes and aways providing valuable advice aimed at beginners. 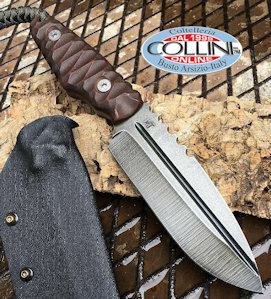 The topics covered range from less sophisticated friction folder, to the most complex automatic opening systems, passing through the flipper, slip joint, lock-back, the Cold Steel's patented Tri-Ad Lock TM, assisted opening, and so on. Each type of mechanism with all their variants have been analysed (some really unusual and exotic), providing information on the advantages and disadvantages of the system, and giving the reader interesting information on patents and the designers who projected and implemented the mechanisms. There are a large number of topics and the author admitted that it was impossible to insert into one book all the mechanisms that are on the market; we shall just have to wait for the next edition! "Knife Mechanisms" is full of interesting details and useful in formation which can be read over and over again, each time learning something new; it is a book that cannot miss in the library of a fan blade!